1Department of Clinical Research, Ping-Tung Christian Hospital, Ping-Tung 90000, Taiwan. 2Department of Internal Medicine, Ping-Tung Christian Hospital, Ping-Tung, 90000, Taiwan. 3Graduate Institute Of Medicine, Kaohsiung Medical University, Kaohsiung, 80307, Taiwan. OBJECTIVES: Cardiovascular diseases account for approximately 75% of the deaths that occur in patients with diabetes. Because the clinical signs of coronary artery disease (CAD) in diabetic patients are hard to detect and routine screening is costly, it would be of great benefit to try to either prevent CAD from occurring or to detect it early and provide optimal care. Therefore, we analyzed the risk factors that might predict CAD in type 2 diabetes mellitus (T2DM) patients with no classical cardiac ischemic symptoms. METHODS: Using a resting 12-lead ECG, exercise treadmill test, or thallium myocardial scintigraphy with exercise testing and dipyridamole injection, we screened diabetic patients already enrolled in a disease management program for possible CAD. We used diagnostic coronary angiography to confirm its presence. The definition and criteria of metabolic syndrome we used were modified from those outlined by the WHO classification and criteria of NCEP-ATP III. RESULTS: A total of 850 T2DM patients without clinical and electrocardiographic evidence of CAD were studied. Three hundred and sixty-eight asymptomatic patients with normal resting ECG were examined by exercise ECG test or thallium scintigraphy examination. Sixty patients considered to have a strong positive test or significant thallium myocardial ischemia received a diagnostic coronary angiography. Fifty-one were found to have significant coronary artery stenosis; 9 showed no significant ischemic lesion. 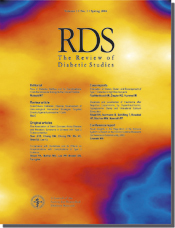 While gender, patients' age, known diabetes duration, serum uric acid level, smoking status, and the presence of WHO-metabolic syndrome defined hypertension and nephropathy were associated with silent CAD, logistic regression analysis found that the only predictor of silent CAD was the presence of nephropathy. The components of NCEP-ATP III-metabolic syndrome were not found to be associated with silent CAD. CONCLUSIONS: A considerable proportion of T2DM patients have silent CAD. A diabetic patient with incipient or overt nephropathy should be examined for the presence of CAD. The definition of metabolic syndrome may be modified for early detection of CAD in patients with T2DM.